We're very pleased to announce our brand new Amanda Jackson Band and Friends Concert Series! We'll be bringing you some very special shows with some very special guests! 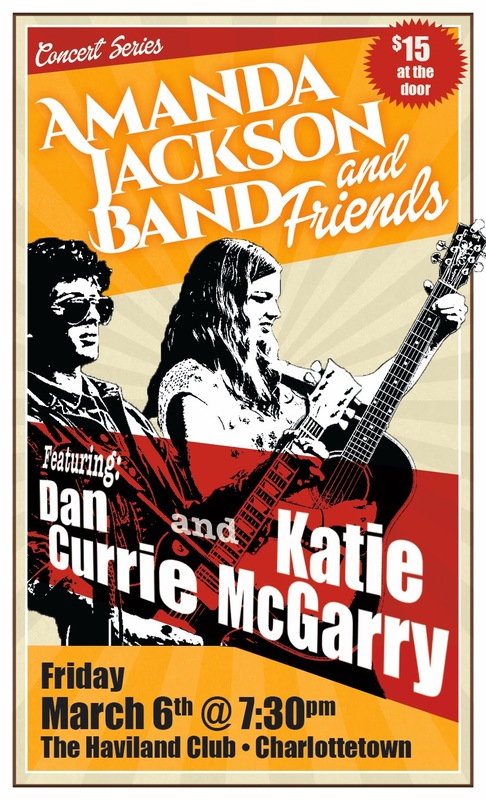 We're kicking the series off with our friends Dan Currie and Katie McGarry on March 6th, 2015. For all the details you can visit the event page. We'll have a lot more to announce about this series in the coming weeks. Thanks to all our special guests and to The Haviland Club for hosting this exciting series!